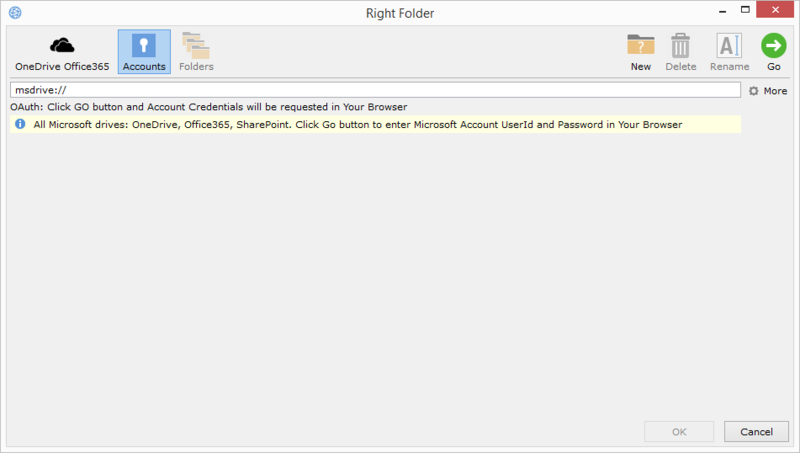 The following use case details the steps for syncing a data set to Microsoft OneDrive. 1) Create and name your job. Choose your job type by clicking on "Synchronize" or "Backup." This example will use "Synchronize." 2) Click the left folder icon to select your source >> choose the “My Computer” file system to select a location on the local disk. 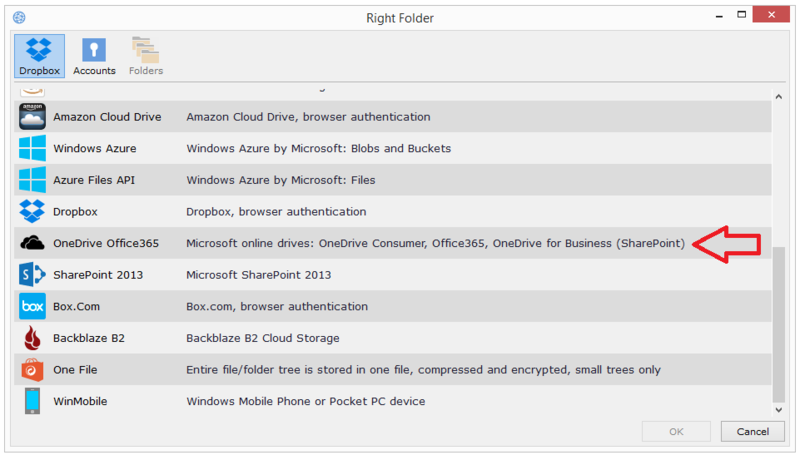 3) Choose the folder on the source machine that you would like to sync with OneDrive. 4) Click the right folder icon to specify the destination >> select OneDrive Office365 from the list of supported services. 6) Provide your email and password >> click "Next." 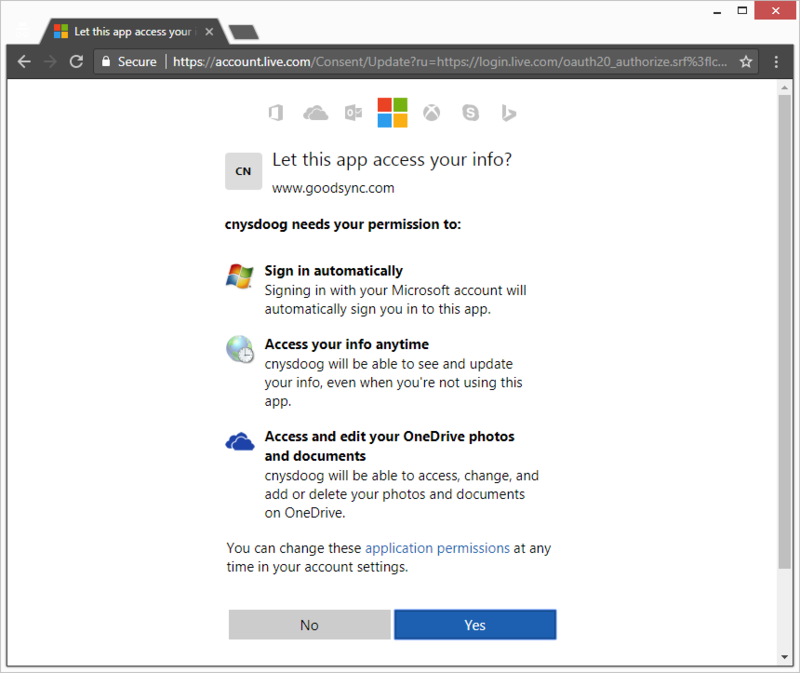 7) Click "Yes" to grant GoodSync access to your OneDrive account's file system. 9) Click the “Auto” tab at top-right to configure scheduling and conflict resolution for this job. Setting “Automatically resolve conflicts” to “Newer Files Win” will ensure that the most recently modified file will take priority in a conflict (if a change is made to the same file on both the local machine and on OneDrive). If desired, you may also choose to rename and keep the losing file, rather than delete. 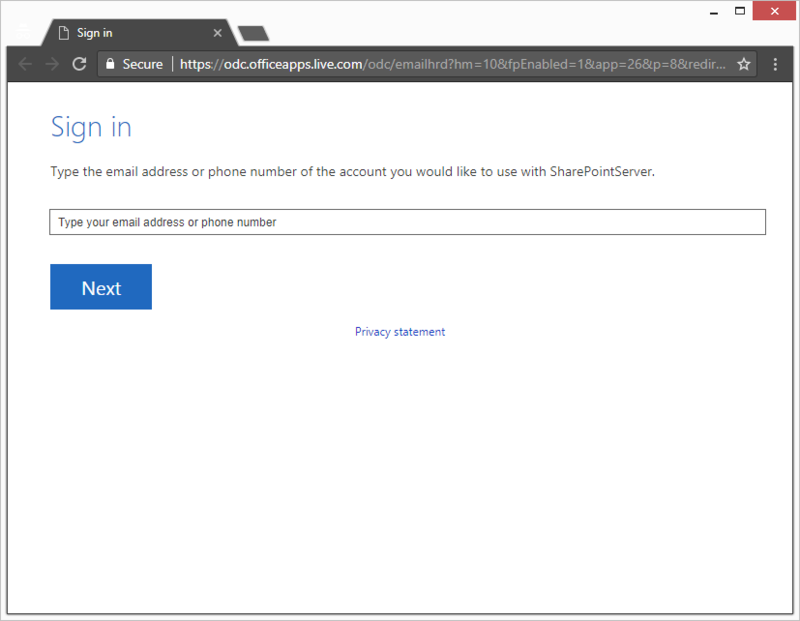 10) Once the sync job has been configured, data will sync with OneDrive storage according to user-specified scheduling. If you would like to run the job manually, click "Analyze" to confirm what changes will be applied, and "Sync" to perform the replication.